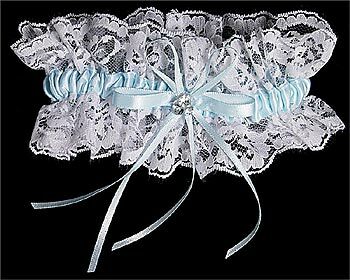 Fill out the form below to be entered into our weekly drawing for a free garter (retail value of $20). One winner will be choosen from the entries from Monday 12:01am PST to the following Sunday 11:59pm PST. Only one entry allowed per week per address. You may choose a desired color (All White, All Ivory, White/Blue - as pictured), but you are not gauranteed to receive that color as supplies are limited by our current inventory. Note: Your information is not shared. We collect your email address to notify you if you win and your mailing address to ship the garter if you are the winner. Send me an email reminder next week to come back and enter again.